The multi arts center of Pink City, Jawahar Kala Kendra, commissions and presents an exhibition on contemporary architecture entitled ‘When is Space?’ from 21 January to 31 March. The exhibition has been curated and designed by Rupali Gupte and Prasad Shetty. 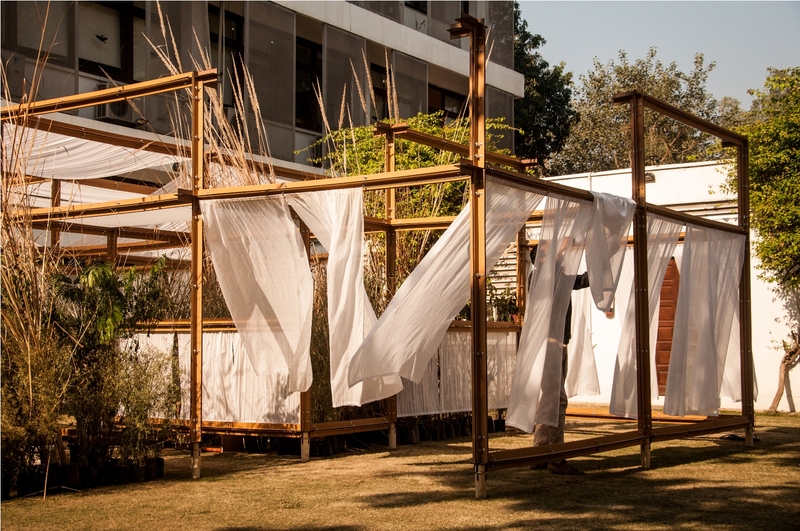 ‘When is Space?’ intends to discuss the contemporary architecture and space making practices in India. Space here refers to the multi-scalar dimensions at which one thinks of architecture. The exhibition intends to ask the first question – ‘When is space?’ What does it take for space to happen? Located within the poignant spatiality of Jawahar Kala Kendra (JKK) in Jaipur, the exhibition intends to converse with the ideas of Sawai Jai Singh and Charles Correa that produced the city of Jaipur and JKK. Through provocations that emerge from the ideas of these key figures, the exhibition invites thirty artists/architects who shall not only display their works, but also respond through a spatial intervention within JKK, at once folding in object and space. The exhibition also aims to generate critical commentaries on contemporary space making. It brings together a wide gamut of participants, including architects, artists, designers, researchers, urbanists, philosophers, architecture colleges and museums. Jawahar Kala Kendra is seen as a laboratory for an experiment that shall not only locate the present concerns of contemporary architecture, but also help trace its future trajectories. ‘When is Space?’ will include the works of Abin Design Studio, Anagram Architects, Anthill Design, Anuj Daga, Architecture Brio, Aayojan School of Architecture, Bhagwati Prasad, Dhruv Jani, Dronah, Gigi Scaria, Sir JJ College of Architecture & Mustansir Dalvi, Mad(e) in Mumbai, M. Pravat, Mancini, Mark Prime, Milind Mahale, Mathew & Ghosh, Maharaja Sawai Man Singh II Museum, Parul Gupta, M/s Prabhakar Bhagwat, Prasad Khanolkar, Randhir Singh, Raqs Media Collective, Sameep Padora + Associates, Samir Raut, Samira Rathod Design Atelier, Seher Shah, Teja Gavankar, The Busride Design Studio, The Urban Project, Vikas Dilawari and Vishal K Dar.